There are plenty of reasons to buy and cash money orders. But, what if you need to get a money order refunded? Is this even possible? Yes and we show you can you refund a money order. What are the refund policies for the major money order issuers? In this article, we give an overview of the general refund process for a money order that was purchased from a bank or credit union, and then detailed the rules for each issuer: MoneyGram, USPS, or Western Union. While you can usually get a money order refund, it can be costly and time consuming. First, you should make sure the money order hasn’t been cashed by someone else. Remember that when you request a refund, you are still liable for the original money order made out to someone else until a stop payment is issued. If you request a refund but then someone else cashes the money order while the refund is being processed, you’ll be on the hook for the money order amount. Keep an eye on the money order expiration dates. Some providers may not have expiration dates or may still issue a refund after an expiration date assuming that the purchaser still has the original money order and receipt. This policy varies though and you should confirm the company’s policy on expired money orders before sending them any paperwork and fees. For more information on money order expiration dates, see our article Do Money Orders Expire? How Long Are They Good For? Answered. When trying to obtain a refund, having your original money order receipt will make life a lot easier. While Western Union does issue refunds without the original receipt, the USPS and MoneyGram don’t. Bank and credit union rules vary per institution. If you have the original money order and receipt and it is still blank (you haven’t made the order out to anyone yet) then simply make yourself the recipient of the order and cash or deposit it at a bank or other location that accepts money orders (for more information on how to cash a money order, check out our list of places that cash money orders). If you have the original money order but you already filled it out to someone else, you can write “not used for intended purpose” on the first line for endorsements on the back, and then endorse the money order. Then, cash the money order or deposit it into your bank account. If you did not originally purchase the money order, you will have trouble getting a refund. If the money order is blank, you may be tempted to make it out to yourself and cash it — but you can face legal consequences for doing this if the money order is reported stolen. If the money order has been filled out and you are neither the original purchaser nor the person named on the money order, you will be unable to get a refund. With no proof that you are a party to the money order, your only option would be to contact the original sender, who could then request the refund. If you purchase a money order from a bank or credit union, ask about their refund policies before you buy. Go to the bank or credit union where the money order was purchased. Bring your money order and receipt (which will contain the money order number, amount, date, and payee information). With the teller/cashier watching, turn the money order over and write on the endorsement line: “Not used for intended purpose,” followed by your signature. With government-issued ID, you’ll then be able to deposit the funds into your account. Bring your receipt (which will contain the money order number, amount, date, and payee information). If the money order was made out to someone else, the bank or credit union representative will first check to ensure that it was not already cashed. If the money order was not cashed, the bank or credit union representative can initiate stop payment procedures (stop payment usually takes at least 24 hours to complete). Following successful stop payment, you’ll be able to obtain a replacement money order on the following business day, and then cash it or deposit it into your account to recover the funds. Please keep in mind that the processes for applying for a refund or re-issuance from banks or credit unions can vary according to the financial institution. As mentioned earlier, a receipt is essential to receive a refund from MoneyGram. If you have lost your receipt, unfortunately, you will not be granted a refund (neither will recipients). Do NOT alter the money order in any way. Bring your money order and receipt to a bank or check-cashing store and ask if they will refund it for you. Once you have found a location that will accept the money order, with the teller/cashier watching, turn the money order over and write on the endorsement line: “Not used for purpose intended,” followed by your signature. The bank or check cashing store will then issue a refund. Start the process by filling out this form, contacting them by phone (1-800-542-3590), or returning to the originating place of purchase. Receive or print the Money Order Claim Card. Fill out the Money Order Claim Card, following instructions carefully. Make sure you sign the card; MoneyGram will not reissue your money order if you don’t. Keep the top half of the form for your records. Attach a copy of your money order receipt. Make and keep copies of all the paperwork and payment for your own records. Return the signed claim card, receipt, and payment to MoneyGram by mail to MoneyGram International (address provided on the form). If the money order has not been cashed, a refund check may be issued. If the money order was already cashed, MoneyGram will send you a photocopy of the cashed money order. Claims are processed within 15 days of receipt (with an additional five days for mailing). The USPS offers refunds on money orders up to two years from the original date of purchase within the United States, and 90 days internationally. They will not issue a refund without a receipt. If you no longer have the original money order and you want to obtain a refund, you must first initiate a payment inquiry with the USPS either in person at a physical USPS location or online via the USPS website. Bring your money order, receipt, and identification to the Post Office. Go up to the customer service desk and endorse the Money Order according to what the service representative tells you to do. The Post Office will then cash the money order for you. After verifying the order, the Post Office will issue a replacement money order. You can now write your name as the recipient. Take your new money order to be cashed or deposited (for more information on how to cash a money order, check out our list of places that cash money orders). Go into your local post office branch with your money order receipt. Request and fill out PS Form 6401 Money Order Inquiry Form. Give the form to the clerk for verification. Pay the $5.95 processing fee. Keep your receipt, with inquiry ID, in a safe place. Wait for the USPS to process your payment inquiry (this takes approximately 60 days) and mail you a resolution letter with their findings and further instruction. Fill out the USPS Money Orders Search – Secure Order Form. Select a type of search: a USPS database search ($10.00) or include a search of your state’s unclaimed funds database (extra $5.00, per state included). Decide if you want the results delivered by email (included) or by USPS First Class Mail (extra $4.00). Provide your credit/debit card information. Wait for the USPS to research your claim. Next steps will depend on if the money order was cashed by the payee or not, and if it was cashed fraudulently. If the money order was not cashed or was cashed fraudulently, the ultimate outcome will most likely be an issuance of a blank replacement money order for the original amount. Like most issuers, Western Union refunds purchasers and recipients of money orders for those that are lost, stolen, or destroyed. They also process money order refund requests without a receipt. In addition, if the money order is already cashed, they will mail the requestor a photocopy of the cashed money order. Once you have found a bank that will accept the money order, with the teller/cashier watching, turn the money order over and write on the endorsement line: “Not used for purpose intended,” followed by your signature. The bank will then issue a refund. Contact Western Union online or by phone (1-800-999-9600). Receive or print the Money Order Customer Request (have receipt) or Money Order Research Request (do not have receipt) form. When using the Money Order Customer Request form: signature is required or your refund will not be processed. 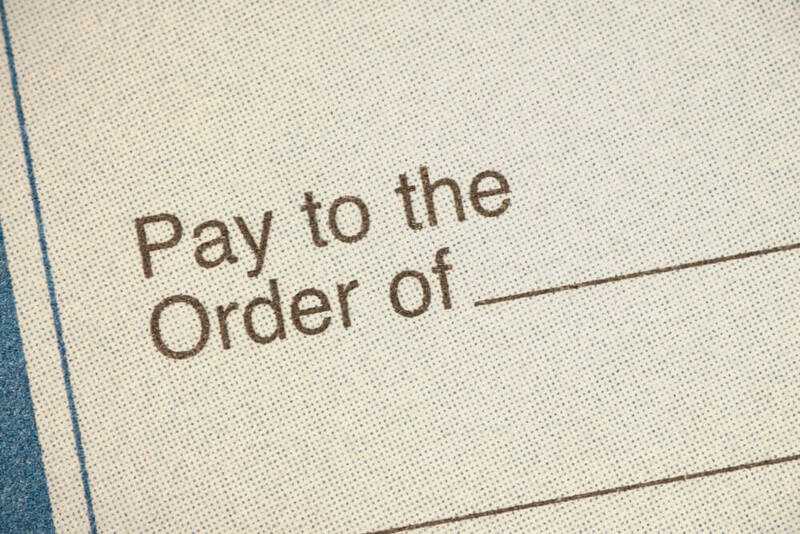 When using the Money Order Research Request form: signature is required and you must have it notarized. Attach your money order receipt. Include processing fees ($15.00 with receipt or $30.00 without receipt). Return the signed claim card, receipt and payment to Western Union by mail, email (RMO@westernunion.com), or fax (1-720-864-0477). Western Union takes six to eight weeks (longer end of the spectrum is for those without a receipt) to process requests. Now you know can you refund a money order of each type. Refunding money orders is a bit of a dance and often a bit of a wait, too. If you still have the money order, you can make it out to yourself (if it’s still blank), or write “not used for intended purpose” on the endorsement line, and then sign it. In these two instances, you can deposit the money order into your own account or cash it at one of these business that cashes money orders. If you already gave the money order to someone else or you lost it, you’ll have to go through an issuer-specific refund request process, which typically involves filling out a form, paying a fee, and waiting. My money order was damaged and would not be accepted by the company I sent it to so they returned it,so do I need to send a copy or the original money order back to you to receive a refund?and do I need to send the orginal cash register reciept? The actual receipt itself isn’t necessary but you’ll need to get information from it so if you need a refund, the receipt is ultimately necessary. No need to send any place the original money order. It will be made null and void. My grandmother sent me money through western union in 2009. I have misplaced the receipt eventhough I have already cashed the money. I need the receipt to provea case that indeed my granny sent me money that particular year. Is it possible for me to get a receipt replacement after all this years. ? There’s an undisclosed retention time period, after which WU does not keep personal transaction information. Use this link and see if you can fill out any of the information in order to track it down. Likely though, you will not still have/know any of this information. In which case, contact customer support either via chat or phone on the right side of the page. I sent in a money order for the incorrect amount and it was returned to me with “void” written on it. Now when I bring it back to where I purchased it, they will not cash it as it says void. What can I do? Bring the receipt and offer to give them the void money order and you should be able to get a refund. What if the word void wasn’t written on the MO but it was sent back to me because it was an incorrect amount. What can I do to get a refund? The money order does not need to have void written on it in order to be returned for a refund. Since you have the original money order, that makes it that much easier to get a refund. You can follow the specific instructions in this article to get your money order refunded, depending on where you originally purchased it. I hope this helps! If it was purchased through MoneyGram, you’ll need to submit a claim card. Additional details can be found on the MoneyGram FAQs page. Additional information on each of these steps is available in the post above, including the customer service phone numbers for both companies. I hope this helps! I mailed 3 money orders since it was a large amount .. and they got lost in the mail, so I sent the original money order stubs to western union just today but i made a copy for my self, I just realized where it said to write full amount(each stub says that in the back) I wrote the complete amount of all 3 instead of writing the amount of each..in other words I filled it out wrong .. …would they still accept that ? If they don’t can I claim it online ? It’s hard to say what Western Union will do with an incorrect form. If all three stubs are all together, it’s possible that Western Union will realize the mistake and process it appropriately — but the form might not be accepted at all. I would suggest calling Western Union customer service (1-800-999-9600) and asking what your next move should be. It can take a long time to process requests, so if you call soon, WU may be able to handle the situation without you having to start the request process over again. Best of luck! Hello I work at an apartment complex and I had a tenant fill out a western union money order wrong. She filled it out to herself and not to us. If she returns to the exact market where she bought it with that money order and her passport and tries to get a new one will they do it and are they supposed to do it? It’s difficult to say if the place where your tenant bought the money order will let her exchange it for another one. Some customers have reported that they’ve been able to do this with photo ID and the original receipt for the money order, but ultimately it will depend on the policies of the place where she purchased it and there’s definitely no guarantee that the issuer will do so. Since the money order is made out to herself, the tenant could also cash it like any other money order. She can do this at her bank or anywhere else that will cash a Western Union money order. I hope this helps! I payed A Bill with may money Order, Misolaced the Reciept But have the Money Order . The Moneh order was 2 months ago. Depending on which company issued the money order, you may be able to get a refund without the receipt. MoneyGram does not allow refunds on money orders without receipts, while Western Union does (although the process is slower than it would be with a receipt). You should be able to tell from the logo on the top of the money order which provider issued it. Then you can find the right instructions in the article to help you pursue a refund. Best of luck! Invaluable suggestions . I loved the insight , Does someone know where my company could possibly get access to a fillable IRS W-9 example to use ? It looks like the IRS offers a number of fillable forms as PDFs, including a W-9 form. I hope this helps! I received a money order as a gift. I have a account where you can upload a check or money to my card. Following the directions to upload the money order I had to write void on it. Some how the process was wrong and the money wasn’t loaded on my card and then won’t take the money order. So now it has void written on it but not cashed. The person that sent the money order can’t find the receipt. Will I still be able to cash it anywhere? It’s very unlikely that anywhere will cash a money order marked “Void” (legally, nowhere should do so). Depending on the issuer, the person who gave you the money order may be able to request a new one. Western Union will accept refund requests without a receipt, while MoneyGram will not. Unfortunately, the only option will be to have the payer pursue a refund. Different places will have different ID policies, but if you have proof of name change (marriage certificate, divorce decree, etc. ), you may be able to bring that along with your current ID to have the money order cashed. I strongly recommend calling ahead to anywhere you’re planning to try and cash it to ask if an ID plus proof of name change will be acceptable. You can read our article on where to cash a money order for some ideas of places that may be willing to cash it. If you’re not able to find somewhere to cash it with the mismatching name, unfortunately, you may have to wait until you have a new form of identification that matches the name on the money order. I hope this helps! That sounds like a very unusual situation. Unfortunately, I can’t offer too much specific advice, because it will really depend on the store where you made the purchase and where exactly the error occurred in issuing the money order. I would recommend that you contact the store directly with your receipt and proof from the bank that the money order was cancelled, and see if the store manager is able to refund what you paid. That will likely be the most direct and easiest way of getting the money back. Depending on the issuer of the money order (MoneyGram, Western Union, etc. ), the store may direct you to contact the issuing company for further steps. Best of luck getting this resolved! Hi, I bought a USPS money order for $300 to pay three months worth of pool cleaning bills and sent it out in mid October and just today found out from my pool guy (who has been my pool guy for years and is very trustworthy) just told me today that he never received it. I can’t find my customer receipt (the part that rips off the top off the money order) but I did find the regular long white receipt the post office gave me with my transaction that has the date and time and location along with the serial number of the money order and the amount. The USPS website is absolutely worthless and tells me nothing about the status of the money order when I enter the serial number and apparently I need the customer receipt to begin the 30-60+ day process of trying to retrieve the information about the status of the money order such as whether it has been cashed or lost or whatever but all I have is the long white one which still has the serial number and amount listed on it. Is there any way I can have my money refunded to me or even just find out the status of it without actually having the “Customer Receipt” rip-off part that comes attached to the money order since I DO still have the regular long white receipt with all of the important information on it still? I’m sorry to hear about your frustrating experience with your USPS money order. Without the customer receipt, you can still request an inquiry online through the Secure Order Form, which will cost $10 in processing fees (and an additional $4 if you want the results physically mailed to you). If the inquiry determines that the money order was not cashed or was cashed fraudulently, USPS can issue you a replacement money order. Best of luck getting this resolved! Hi I purchased a Moneygram money order over the thanksgiving holiday in 2014 for my December rent. It was stolen from a post office drop box and I found out about a week later as my apartment manager was asking me when I was going to pay the rent. I filed a police report and called moneygram to report it as well. I payed the $25.00 fee per money order as there were 2 in total for $1050.00 only to be told by Money Gram that there would not be a refund. The name of purchaser on the copy is not my name and the address leads to no where. Any help? Unfortunately, MoneyGram’s policy is not to refund or reissue money orders that have been cashed under any circumstances. You can submit the photocopies you obtained from MoneyGram to the police to add to their report file, but MoneyGram does not provide other avenues for getting the money back. I’m sorry I couldn’t bring you better news! Thank you that is not a good policy as I told them when this all happened they lost me as a customer. Would I have any recourse legally? I have heard rumors from people who say they were refunded after getting a newspaper involved or by sending them a copy of police report. I agree that it is a terribly frustrating policy. Unfortunately, I was not able to find any accounts of customers being refunded after getting a newspaper involved or sending MoneyGram a police report. However, it may be worth a try to continue working on MoneyGram for a refund — particularly since the purchaser in the photocopy was not your own name, meaning that the money order was altered after you purchased it. After filing the police report, there’s little legal action that can be taken, since MoneyGram itself isn’t liable for the money order being stolen. I’m sorry that I can’t give you more concrete advice, except to say that it couldn’t hurt to try going after a refund with the police report — but brace for plenty of frustration if you do decide to go that route. Best of luck! Wow. Great site. Great information. Great resources. Your awesome thank you for responding to these questions. We appreciate your time you give to help others out. I’m sorry to hear about the issues with your money order! You can take the photocopies that you’ve received of the cashed money order and submit it as part of a police report, and you may be able to submit the police report to the money order issuer to assist in their investigation as well. Unfortunately, this process is extremely slow and can be rather expensive with any money order issuer. Was it a Western Union money order? If so, Western Union does advise customers who have experienced fraud to file a report with their local law enforcement agency, and Western Union will work with law enforcement directly regarding your case. You can read more on the Western Union Fraud Awareness page. MoneyGram has a similar policy. The general rule for either of these companies is that they will not refund a money order that has been cashed under any circumstances, so unfortunately, the odds of recovering your funds are low. I’m sorry I couldn’t bring you better news! I just purchased several money orders for a security deposit on an apartment, after seeing the actual apt. (Not the model I was shown beforehand) I changed my mind and requested a refund, I gave them my money orders blank but when I requested my refund a few hours later they were all filled out in the apartments name. I have the money orders the original receipts the stubs from the money orders as well. Can I get my money back??? As long as you have the receipts and the money orders have not been cashed, you should be able to get them refunded (or reissued as a blank money order, so you can fill it out to yourself), but you will need to go through the process described in the article for doing so. There will typically be a fee associated with getting the refund. We’ve provided the steps for pursuing a refund for either a MoneyGram, Western Union, USPS, or bank/credit union-issued money order. Best of luck! Once a money order has been cashed, you can no longer request a refund. Depositing is essentially the same as cashing, so you won’t be able to request the refund either. If you want to confirm this with Canada Post or ask for more info, you can call (800) 563-0444. Ur system. Is terrible. I try to find anwsers and u dont hsve them. I call you aweful customer service and i can reach ne one. I leave a call back number n its been 14 hours w no responce. The ppke in ur stores give bad advice thst dosnt work. Never realized how bad it was to use moneygram until i wanted a refund. As of now it seems better to lie about what happrn then to telk the truth..where is thr the sense in that . I’m sorry to hear about all the trouble you’ve had with MoneyGram! It sounds like you’ve been in touch with MoneyGram’s customer service already, but if you’d like, you can submit a complaint directly to the company through the MoneyGram website. Best of luck getting this issue resolved! The answer depends on which issuer provided the money order. If it was a MoneyGram money order, you’ll need the receipt to pursue a refund. If it was a Western Union money order, you can have the issue investigated with or without a receipt. In any case, you’ll need to get started by contacting the appropriate customer service to begin an inquiry, so that it can be determined whether the money order has been cashed. Unfortunately, there will be a processing fee for the inquiry, regardless of which company is involved. We’ve provided the relevant phone number or web form for each company to help you begin this process. I hope this helps and please let me know if you have any further questions! I filled out refund request online…how do I send the $30 fee? “On your computer or mobile device, go to Money Order Research Request form. Print the form, and then complete and sign it. Take the form to be notarized. Submit it with all available documents* showing you as purchaser, and the $30 USD nonrefundable processing fee to the address listed on the form. *These documents could include the original store cash register receipt, copies of other money orders or their receipts purchased at the same time. You may have gone through a different process, since it sounds like your request form wasn’t printed or notarized, so it may be worth contacting a Western Union agent to be sure that everything is in order with your request form (the Western Union customer service number is 1 (800) 325-6000). If the form has been filled out online but not actually submitted, you can mail the $30 fee (money order or check only, payable to Western Union Financial Services, Inc.), a printed version of the form, and all supporting documents to the address provided. I hope this helps and let us know if you have any further questions! I purchased a money order to put as a security deposit on an apartment. Ended up getting a different apartment. Was given back the money order by the leasing office. Can i deposit the money order into my checking account or do i have to go through the western union miserably long refund process? The money order is made out to the leasing company. You should be able to avoid the Western Union refund process by writing “Not used for purpose intended” on the endorsement line of the money order, followed by your signature. Once you’ve done that, you should be able to deposit the money order in your checking account like a normal deposit. While some ATMs may be set up to accept money orders, to be on the safe side I would recommend visiting a branch in-person and depositing it with a teller; this minimizes the risk of later having the funds withdrawn from your account if the bank identifies an issue with the deposit after it’s been made. I hope this helps! I made a mistake on my Western Union money order, so I used a corrector to fix the error, but people told me that it may not be accepted by the person who’s going to get it, so I went to the location where I got it and I paid a fee of 17 dollars and they gave me a new one with the same amount. How do I know is valid? Does it have a different tracking number or something? I’m not sure I quite understand the situation. Did you receive a brand-new, reprinted money order with the correct information on it after you took the first one back? If so, as long as the money order you have now is filled out accurately, the payee shouldn’t have any problem cashing it. I bought a money order and mailed it to pay a car note. Turns out the address I sent it to was the wrong address. I called to track it and it said it hasn’t been cashed. I would like to get a refund to resend it to the correct address. I have the receipt. The article talks about a $15 fee. Does that need to be a check, money order, or exactly how can that be paid?? Is this in regard to a Western Union money order? If so, the Western Union website states that you can pay the processing fee in the form of a money order or check only, payable to Western Union Financial Services, Inc. I hope this helps! I received a Western Union money order in the mail that was damaged in the postal equipment. The entire bottom has been ripped off and lost. What do I have to do to replace it. The Western Union Money Order Research Request form states that the form “must be completed by the Purchaser if the original bottom portion/receipt with barcode has been misplaced, lost, or stolen.” The person who sent you the money order will need to fill out this form, and submit it along with a $30 non-refundable processing fee (by money order or check only). Once the request is processed, Western Union may be able to issue a new money order (if the money order has not been cashed and if the serial number for the missing money order is located). Best of luck getting this resolved! $30 is a ridiculous fee for a $45.00 check. I’m sure the records are computerized and it is a simple process. I agree that $30 is exorbitant for a money order that was only $45 in the first place. Unfortunately, it is a flat rate for all Research Request forms. If you’d like to find out if there are any other steps available to you or you’d like to make a complaint, you can reach Western Union customer service directly on the Customer Care page of the WU website. I am trying to check the status of a claim for refund. It has been 3 weeks since I sent in claim form. To which company did you submit a claim form? Processing times can vary based on which money order issuer you contacted. For MoneyGram, claims are typically processed within 15 days of receipt, with up to an additional five days for mailing. To check up on a MoneyGram claim form, you can reach MoneyGram customer service here. Western Union request forms can take longer to process, sometimes up to six to eight weeks. You can check up on a Western Union request form by contacting Western Union customer service here. I hope this helps! My Daughters Father whom is a Seafarer sent From a Western Union Branch in Longview,WA USA money to South Africa, so that i could buy our daughter her clothes and a gift from him.Me as the receiver went the Next day to my Western Union Branch to fetch it but they said the MTCN is non exsistance.How is this possible?When he was in signal zone he imidiatly contacted me and asked what happen.According to Western Union it was returned to the sender…How he was on the ship on the ocean not close to land and only arrived two days ago in South Korea.WE both are sitting with the original slips and that it was sent.Is there any way someone can assist me in this big messup.Its alot of money missing in my currency.And thats my daughters money missing that was needed to provide for her. I’m sorry to hear about the frustration you’ve had with Western Union! To clarify, did your daughter’s father send the funds as a money transfer through Western Union (not a physical money order)? If the money was transferred back to him, he may need to visit a Western Union branch in his area to send it again. I would recommend that you contact Western Union customer service to see what steps you can take in this situation. Western Union will need the MTCN, so be sure to have that with you when you call or contact the company. You can reach Western Union customer service through the Customer Care page of the WU website here. Best of luck getting this resolved! I purchased a money order and it was stolen. I called to request a stop payment on the money order but the process of western union did not stop it in time and it was cashed is there any way I can still get my refund. If I am the purchaser? Unfortunately, Western Union doesn’t guarantee that refunds will be provided for money orders that have already been cashed. Do you have a copy of the cashed money order? If the copy shows that the money order has been tampered with or altered, you may be able to request further investigation from Western Union to try to pursue a refund. The best bet is to speak directly to a Western Union representative who can provide you with options in your particular situation. You can reach Western Union customer service at 1-800-999-9660 or by visiting the Customer Care page on the Western Union website. It may be helpful if you have documentation that you tried to place a stop payment on the money order before discovering it had been cashed. Best of luck getting this resolved! Hello, I purchased a money order but signed my name as the reciever how can I cash it? Do I just sign the purchaser line also? Yes, you can definitely make a money order out to yourself. Just fill out your name as the purchaser and you should be able to cash it without a problem at any location you would normally cash a money order. I hope this helps! It’s worth contacting the location where you purchased the money order to see if the agents there would be willing to print a new one with the correct fuel company as the payee. It will likely help if you have the receipt for the purchase and if the purchase took place relatively recently. It’s a good idea to give that location a call before you drive out, as there’s no guarantee that the store or branch will be willing to print a new money order for you with a different payee. If you can’t get the money order reprinted with the correct company name on it, you can instead write “Not used for purpose intended” on the endorsement line and add your signature, then deposit the money order at your bank. Then you can use the funds to get a new money order made out to the correct fuel company. I hope this helps! I sent a money order with a from and it was returned, with a stamp on it from the facility it was sent to, due to insufficient funds. Can I still get my money back for this money order and purchase a new one with the correct amount? To get your money back for the money order, you should be able to write “Not used for purpose intended” along with your signature on the endorsement line, then deposit the money order at your bank just like you would with a normal check. While some ATMs are set up to accept money orders, I would recommend depositing it with a bank teller; this minimizes the risk of having the deposit rejected later, which can cause a major headache if the funds are suddenly withdrawn from your account when you aren’t expecting it. If the bank refuses to accept the money order as a deposit because of the “insufficient funds” stamp, unfortunately your only recourse will likely be to follow the standard refund policy as we’ve outlined in the article above. I hope this helps, and please let me know if I can answer any further questions! I’m in Chicago suburbs of IL and posted some of my jewelry on Craigslist. A Vietnamese woman who barely speaks English from Church Falls, VA called me a few days ago and wants to buy 2 pair of my diamond earrings. She fears to sign up with paypal, and give her bank info. or credit card. So I agreed to accept a Western Union Money Order that will be arriving in the next couple days. I checked out her name, address, and phone number that matches on white pages and other sites, and will compare it to the money order upon receiving, and will call WU to verify if the M.O. is legit. But I’m having second thoughts about this. 7-11 is where she purchased it, yet none I called will cash them, even though they sell them. And my 2 currency exchanges that use Western Union will not cash it. ( I found out from WU that sellers of them don’t need to cash them.). 🙁 So, I can cash it at my bank, however they told me that it’s possible that after I cash it, she still can stop payment and get a refund… and I may not know or would my bank for up to a month or even 2 and I’d be stuck paying back the money? In the meantime my jewelry would be long gone mailed out to her. Is this correct that Western Union won’t clear their own M.O.’s as any other checks that normally do in a week? I called WU and can’t even get a definitive answer on clearing it or how long. I know of other scams I read about, but can’t find out if this is one. My two thoughts: 1) Why would someone buy jewelry on Chgo. if from VA. which she said she just didn’t like anything in her area 2) She’s been in the US for 25 yrs. she said, but can’t speak English well? which is an afterthought. Last… Is a WU wire transfer safer since instant that a sender can’t stop or cancel? I’ve never accepted either from anyone, and I realize CL does warn us not to…..but for other reasons when I researched what types of fraud involving M.O. They don’t state that this is one. Forgive my being stupid or naive about this and need your advice. As far as cashing money orders, you’re right that a great number of places will sell money orders, but very few will cash them. By far the most common scenario is for the recipients to cash the money orders in a bank. The reason that so many places are reluctant to cash money orders is largely due to the risk of cashing a fraudulent money order. Depositing the money order in a bank does still leave the possibility that the bank could discover the money order was counterfeit, at which point the funds would be removed from your account (much like a bank can reject a check if it’s discovered that there’s a problem with the deposit, even if the check is initially accepted). I don’t immediately see anything suspicious about the buyer’s proposal, but at the same time, it’s generally not recommended to accept money orders for any sort of purchase due to the risk of fraud. Ultimately, the decision is up to you. But if I were in your place, to be on the safe side, I would likely decline the money order purchase and hold out for a buyer who can pay through a more conventional method. Best of luck with whatever you decide to do! I purchased a money order from Walmart and would like a refund. The money order hasn’t been filled out and I still have the receipt. I purchased the money order this morning. Is this refund possible? If the money order hasn’t been filled out yet, the easiest thing to do is simply fill out your own name as the payee and then cash it (either with your own bank, which will be the easiest, or at Walmart). I hope this helps! It helped tremendously!!! I really appreciate your help!! Unfortunately, if the money order itself is damaged to the point that it cannot be cashed (either at Walmart or at your own bank), you’ll need to follow the process described in the article above to pursue a refund through MoneyGram. Best of luck getting this resolved! I bought a money order (moneygram)at the beginning of march but wrote the wrong name on it and realized before sending it. I took it back to walmart where I had purchased it the next day with the receipt and walmart would not cash it, they said I had to mail it back to moneygram to process a refund. I have contacted moneygram 4 times to figure out the easiest way to get this money back and have gotten no replies. I cannot get through on their phone line and have been using their contact me email form on their website. Does anyone have recommendations? I still have the money order as well as the receipt. I am sorry to hear of your frustrating attempts to get a hold of MoneyGram! Walmart is right — you do need to get a hold of MoneyGram. Contact them at 1-800-542-3590. You can also bypass a phone call and print a refund request form here to start the process. Hope this helps! In most cases, if you still have the receipt, you can take the money order to your bank or check cashing business and get cash back, regardless of the name you started to write. You will be asked to endorse the back and write “not used for purpose intended.” Good luck! Hi there! You can track your USPS money order here: https://mois.usps.com/pls/pmoisnp/mois_external_pkg.main. I tried that link at least 20 times. Cant file 6401 without original receipt. Is there any other way to track? I received a Western Union money order from my tenant. I made a mobile deposit with my bank (have done so many times), it was returned as “altered or fictitious” from my bank. My bank says everything looks ok with it. It wa made payable to me with his address on the purchaser line and he signed it. The store stamped it with the correct amount and everything, nothing was crossed out or changed. My tenant purchased it from the grocery store. How do we get a refund on it? This is a really unique situation, since you say there was no fraud on anyone’s part causing this to be flagged by your bank. I would recommend contacting Western Union’s Customer Care number at 1-800-325-6000, so you can talk to them about your dilemma. They can walk you through the refund process, if necessary. Good luck! I bought a money order. I got sick and was in the hospital for awhile. I had filled out the money order to my landlord, but never mailed it. Now i have the reciept but not the money order.. its lost in my house somewhere in an envelope. I called to see if it was cashed it says it wasnt cashed, so i wanted to get my money back. I am broke right now and can really use the money. If i dont have any money for fees how can i go about getting the money back from the money order. If you let me know what company the money order was issued through (MoneyGram, Western Union, USPS), I can get you the info you need to get a refund. Unfortunately, there is a $15 processing fee for requesting a refund from a Western Union money order. Since you have the receipt, you can fill out the refund request on the back of the receipt and send it, along with the processing fee, to Western Union. I sent a MoneyGram to someone & I’d like to get a refund but the problem is the money has already been cashed. Will MoneyGram still refund me?? I have the receipt & everything with me. Unfortunately, you cannot receive a refund once the money order is cashed. Wish I had better news for you! I bought a money order from quick trip and filled it out for my apartment complex but ended up not using it. I have the receipt and money order, how can I get my refund? Here’s how to refund your unused money order: Go to the bank or store where the money order was purchased. Bring your money order and receipt. The teller will ask you to write on the back of the check, “Not used for purpose intended.” You can then receive your refund. Hi. My mom was given a WU Money order that is now over a year old and the bank says its stale dated. The person that gave it to her no longer has the receipt. The only process i can find is if the buyer is trying to replace the mo, not the payee. Plus the mo states there is a dollar per month charge. Is that legal in Massachusetts? Would a Western Union Agent cash the mo for her? Here are instructions on how a money order payee can request a money order refund through Western Union. I bought this money order from Walmart and sent it to someone. However, it was sent to wrong person/address and the money order came back. Now that it is addressed to someone else, how can I get the refund? I have original as well as the receipt for the money order. I took it to Walmart but they said that they could not refund me and suggested me to contact Money Gram…I am confused. Basically, I had 2 similar money orders since it was intended for an application fee for my grandpa and grandma’s visa….Please help. Thanks. You have to request a refund through MoneyGram on this one. Since you have the receipt and the money order, you shouldn’t have any trouble receiving a refund. Go here to find the form you need to get the process started. I assume you still have the money order and the receipt then? First, I would recommend calling your local store or going back there to ask whether they can refund, or if they have a lost or stolen money order form you could use to get a refund. They might be able to help you if you still have the money order and receipt. Otherwise, you can request a refund through Western Union. Use this form if you still have the receipt, or this form if you do not. There’s a $15 fee if you have the receipt and a $30 if you do not. Good luck! Sent the letter with money order certified signature required tracking on the letter and once it left the post office nothing was scanned. Today I filled out the USPS money order form 6401 inquiry. How long does take to get a refund issued? I purchase a western union money order made the money order out to Riverwood apartments for a deposit. The money order was return back to me I have the original money order but I lost the receipt. You must apply for a refund through Western Union. Go this page of their website for instructions on how to do so. Hola compre un moneyorder de 57 dolare para pagar el dentista pero luego me informaron que ya no era nesesario elpago pero yo ya había llenado el money order que puedo hacer que opciones tengo. Each money order issuer (the Post Office, MoneyGram, and Western Union) has its own process for getting a refund. If you have the receipt, you can try going back to the store where you bought the MoneyGram and asking to return it. For MoneyGram, use this tarjeta de reclamo de giro postal. It costs $18. For Western Union, use this Money Order Customer Request form. It costs $15. For the Post Office, go back to the Post Office to ask for a refund. It costs $6. Because your money order is small and there are significant fees to get refunds, I wonder whether you could ask the dentist to accept the money order and credit it towards future dental services. That way you wouldn’t loose any money. Traduzco lo que ha escrito mi colega Laura para que le sirva mejor. Si usted ha llenado el money order pero ya no lo va a usar, puede pedir un reembolso — el proceso es más fácil si tovadía tiene usted el recibo. Si viene el money order de MoneyGram, llene esta tarjeta de reclamo . Le costará $18. Si viene el money order de Western Union, hay que llenar este formulario – el Money Order Customer Request. Le costará $15. Si viene el money order de la oficina postal, puede regresar a la oficina y pedir un reembolso directamente. Le costará $6. Si usted ya no tiene el recibo que debía haber recibido cuando compró el moneyorder, favor de decirme y puedo ayudarle y darle unos formularios diferentes. Dado los precios altos ($6-$18) que se debe pagar para recibir el reembolso, quizá sería mejor preguntarle al dentista si pudiera aceptar este moneyorder y acreditar su cuenta para el futuro. De esta forma, no perdiría ningun dinero. I wired money thru western union. It did not go thru. I was told I would receive a refund in the mail. It must be lost. I have no receipt now. The customer rep at western union was no help. What can I do? 1. Print and fill out the Money Order Research Request form. When using the Money Order Research Request form: signature is required and you must have it notarized. 2. Include processing fees ($15.00, with receipt or $30.00, without receipt). 3. Make and keep copies of all the paperwork and payment for your own records. 4. Return the signed claim card, receipt and payment to Western Union by mail, email (RMO@westernunion.com), or fax (1-720-864-0477). I have a money gram money order I wrote it out for my rent, but no longer need it, can I return it to where i purchased it from and get a refund or can I deposit it into my account by signing the back. Or do i have to file a claim and go through the long process of a refund? You should be able to write “not used for intended purpose” and endorse the back of the money order, then deposit it into your bank account. You may be asked to show a photo ID when you deposit it. While some places will let you return a money order, many won’t, so your better option is probably to deposit it.